Torah Study is essential in maintaining a meaningful relationship with our Jewishness. The more we understand our heritage and teachings, the stronger our feelings and commitment to our Jewishness. 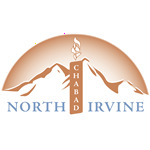 Chabad of North Irvine offers a selection of classes, from beginner to advanced levels. A variety of classes are held every week either at the Chabad Center or at private homes. Exclusive classes for men and exclusive women's classes are also offered. The courses are open to all regardless of background or affiliation. Chabad allows you to discover your roots trough Torah study classes in a wide range of topics, such us Torah (Bible), Talmud, Jewish Law, Kabbala (Jewish Mysticism), Chassidic Philosophy, Prayer, Hebrew, and more. Realizing the need for personalized Torah study, Chabad also offers a unique personal study program for men and women. The Rabbi is available to study one-on-one at your home or office. For more information on personal study opportunities please call Rabbi Elly at Chabad of North Irvine. Chabad also hosts unique guest lectures and classes. For more information about our JLI Courses visit us here. For more information about our Womens classes visit us here.